Picture it: rose petals strewn along the aisle, bouquets of white lilies held together by a single yellow ribbon, the smiles of close friends and family that follow you as you walk down an aisle, an arc of floral extravagance under which you will exchange the most important vows of your life. What is the most important part of that picture? The lilies? The floral arc? Or the vows that cement into permanence your commitment to your soul mate? My guess is the most important thing about your momentous day is the human being standing across from you. They're the whole show. Everything else is the sprinkles on top, and we want to help you prioritize how decadent those sprinkles should be for you. Unfortunately, this is not the value set we've been taught through Kay Diamond commercials, the "He Went To Jared" slogan, and every celebrity wedding (think Kate Middleton) that we've drooled over in magazines. Commercials tell us that the price of the ring is in direct relationship to the affections of the man. The more expensive the diamond, the more he cherishes you. We gasp at the cost of engagement rings on the fingers of idols like Kim Kardashian and Victoria Beckham, as if the clarity of the diamond has some relationship to the purity of the love. We slowly, perhaps even subconsciously, have begun to associate cost with meaning, and we fill our Pinterest dream boards with the flowers we lust after but can't afford, the "dream" ring, the "fantasy" dress. The message that we keep receiving, over and over, is that weddings should be expensive. When did we decide to let this become culturally normative language? How does the cost of the wedding make any effect on a marriage? Does lifelong happiness come with a pricetag? If it doesn't, if we can all agree that an excessive, over-the-top wedding does not predicate a happy marriage, then would we make different decisions on the big day? The answer to that question does not lie in this blog post. It doesn't lie within the opinions of your mother-in-law or your close friends, and it especially does not lie in the commercial of the air-brushed, picture perfect model rolling in Fall leaves on a secluded hillside while an ethically ambiguous Greek god with a blinding smile pulls a box out of his pocket and gets down on one knee. It lies within yourself. The point of this thought exercise is to break free from the assumption that a wedding will cost you, or put you into loads of debt, or not carry meaning if it's done simply, modestly. Naturally, there is nothing to prohibit anyone from spending obscene amounts of money to achieve their specific idea of a "dream wedding." A happy marriage can be built on either a $500 day or a $500,000 day. You can have twelve - or zero - floral arcs. You can have white lilies or a handful of wildflowers or a bouquet of two dozen imported roses. The only thing that you cannot substitute is the human standing across from you and the vows you recite to each other. 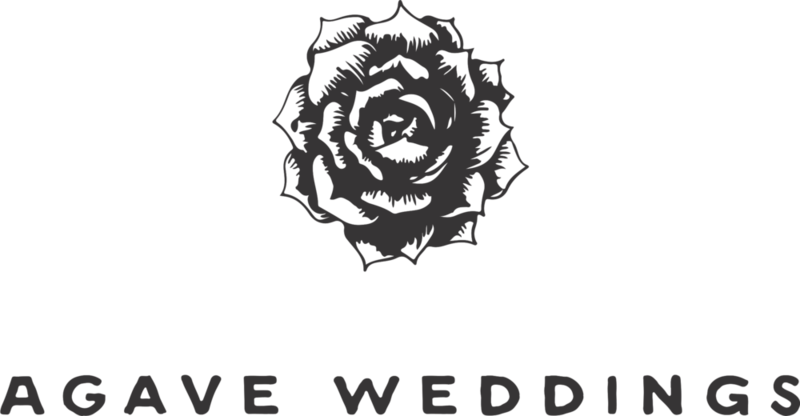 Agave Weddings cannot provide the soul mate, but for everything else, for every other kind of dream wedding, on every kind of budget, we can help you design, execute, and enjoy, your specific dream wedding.